There is a misconception regarding the origins of perfume. Most people think that it originated in France, but the person who brought perfume to Paris and gave it notoriety was a citizen of Florence. 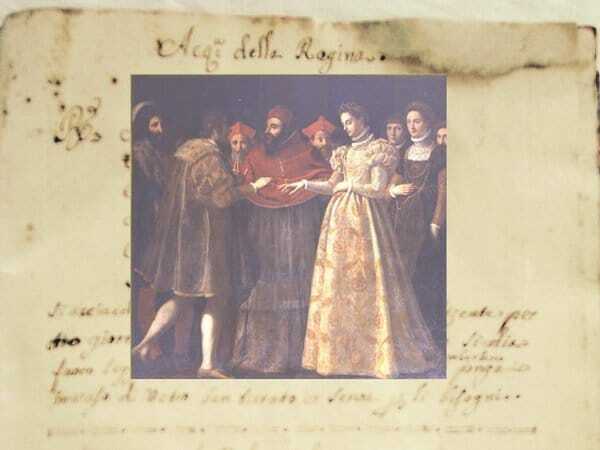 The first perfume shop was opened in Paris by Renato Bianco, a man who became a specialist in the creation of fragrances and was the personal perfumier of Catherine de Medici. This Italian noblewoman was queen of France from 1547 until 1559, by marriage to King Henry II. Alchemy is closely related to the process of creating perfumes and it was considered a very mysterious artform. It was thanks to Renato that perfumes started to become a commercial success all over France and in every corner of the globe at some point in history. If you happen to travel to Florence and you are also a perfume enthusiast, you will find yourself in a very privileged position. There is a building near the Santa Maria Novella train station that is considered the oldest cosmetic shop and pharmacy in Europe. 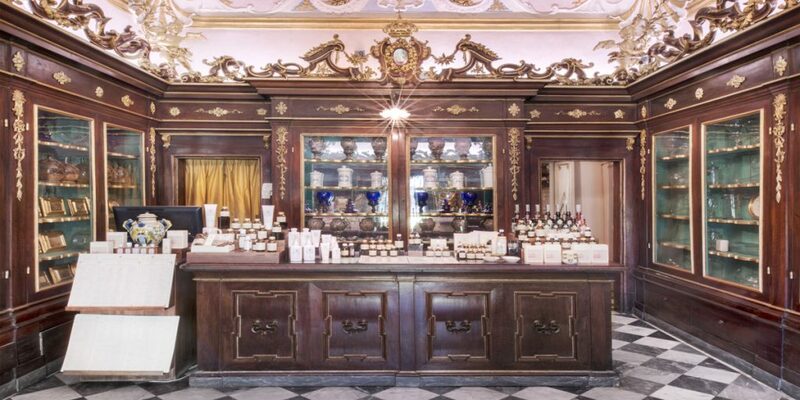 Known by its official name of “Officina Profumo Farmaceutica di Santa Maria Novella”, this place holds more history and aromatic treasures than any other in Italy. To this day, the family-owned six-hundred-year-old establishment uses the same ancient recipes it used back when it started to make perfumes and skin care products! Make sure not to miss this place when visiting Florence, the true birthplace of European perfume. The Ancient Apothecary’s Shop at Santa Maria Novella. In Florence you also have the opportunity of joining a professional perfume-making course with Studiainitalia. The program, available for both beginners and advanced students, includes forty hours that can be spread over seven or fourteen days. This course will give you detailed information on the history of perfume, the use of materials, the comparisons between the different scents and fragrances, the use of animal derivatives, the use of dyes and fixatives, and the choice of preparation. 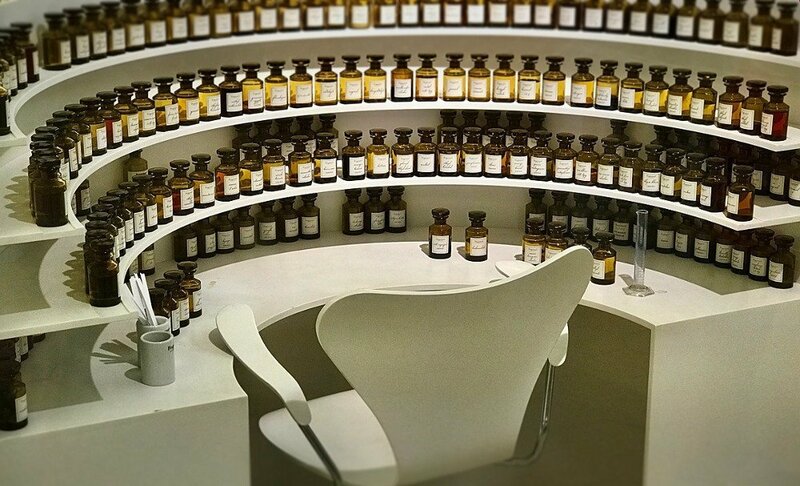 You can find more information, starting dates and prices on the Perfume-making course in Florence here.